Always standing with confidence and poise, actor, activist, educator and entrepreneur Lamman Rucker is not only a man filled with integrity, more so, a man filled with an abundance of wisdom. Every time I interview the dynamic actor, it is always a pleasure to learn from him and reap the joy of his humbling presence. It is evident of the roles he chooses in films and why he has a heart of giving back by supporting numerous organization community efforts. Rucker has an impressive list of acting credits. A few of the films he’s played in includes, “Why Did I Get Married?”, “Why Did I Get Married Too?”, and “Meet The Browns”. 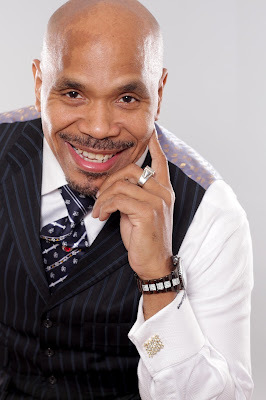 He recently stars in the TV drama series Greenleaf. 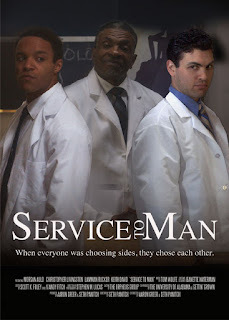 Rucker recently played the electrifying role of Dr. Johnson in the film Service To Man, alongside talented actors such as Keith David, Morgan Auld, and Christopher Livingston, just to name several. The film is directed by Aaron Greer and Seth Panitch and is streaming through Freestyle Digital Media. I had the opportunity to interview the veteran actor concerning his role as Dr. Johnson in the film Service To Man and his latest happenings. Here is what Lamman Rucker has to share with the readers. Aaron Robinson: Tell us a little about your character, Dr. Johnson, in the film Service To Man. 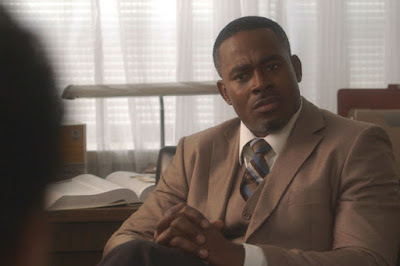 Lamman Rucker: Dr. Johnson is based on a character named Dr. Henry Moses, who was at Meharry Medical College for a very long time. He is very well respected. Dr. Johnson’s character has a similar tradition with the community. He is very invested in his students, has a very sense of pride and belief, and is what Meharry stands for. He’s a person who’s making sure those students respect what Meharry Medical College is about; he doesn’t take it lightly. He is very serious in making sure that they are there for the right reasons, especially when these white kids show up. He knows what it’s like for people of the time to want to be doctors, because they just want to be doctors. They want that title or they are thinking they are going to just get out here and make a whole lot of money. Dr. Johnson’s the one who helps keep them honest, who keeps them disciplined and teaches them to make sure they remember why they are there in the first place. Dr. Henry Moses prayer is making sure the legacy of that institution and the integrity of the profession is maintained. Aaron: The film is based on a true story from the 60’s. Regarding the history of that time, has the film had an impact on your life? Lamman: Yes! I think what’s interesting is that sometimes we forget about all the other people that were living in the country at that time. When you’re hearing about the 60’s, you’re either hearing about the people who were at war or the people who were active in the civil rights movement. We forget about the fact that there were also kids in school. You got our little girls that were killed in the church bombing. You know that there are young people that exist but you still kind of forget like, “Oh yeah!” What about the ones that were at college that weren’t necessarily in the movement that’s trying to live, that was trying to get by, or that’s just trying to get through school? What about these teachers who may be in their forties and fifties, or even younger than that. And think about what else they’ve seen, even prior to when any of these events happened. Then there are a couple of these events that actually occur during the movie. [The film] definitely gives you a different degree of appreciation….just kind of an awareness of what it was like to say, “Look, I might not be out there on the front line of the movement marching, instead, I’m going to fight the battle here in the hospital, I’m going to fight the battle by taking my love for what I do and the fact that I’m even serving a community that’s underserved.” That’s what MeHarry’s about, the highest standard. Aaron: With that being said, what do you think the viewers who haven’t seen Service To Man will take away from the film once they watch it? Lamman: Hopefully what they walk away with is a number of things. One of those definitely is the importance of education, the importance of being well trained, highly-skilled and committed to doing something well. Secondly, not just doing that thing that’s well for you, but what’s even more important is that you’re going to serve other people by way of doing what you do well. On top of that…you can’t do it by yourself. You’ll see the characters in this movie - they’re doing things that serve themselves. They’re doing things that are strictly for the purpose of even saving themselves at the expense of doing something whether it lacks integrity or doing something for their own personal gain. I hope that more people walk away with the greater sense of understanding how their lives need to be more about service, if they do so already, they probably can do even more. It just doesn’t have to be medicine; it can be in spirit, education and cooperation by doing things together. Not only in trying times, but all the time. Aaron: You worked with some amazing actors in the film. What was it like working with such a talented cast? 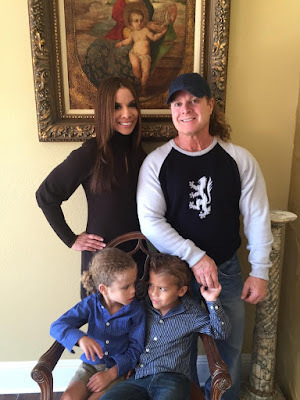 Lamman: We had a great time! It was really refreshing to see how sharp many of the young actors were. It made me remember what it was like when I was their age and first started out. It was really cool and encouraging seeing these sharp young actors that I thought were really perfect for this film. Everybody got along and worked together well. We really had some magical moments happen. They were a lot of fun to hang out with, work with and kick-it with. It was encouraging to watch them work – to watch them shine. I thought they did a great job. Aaron: Lamman, are there any other films or projects that you are working on that you would like to talk about? Lamman: We’re in our third season of Greenleaf. Everybody is excited about that. They’re excited about what it’s doing. I have another independent project called Sinners Wanted that is starting to get some buzz. I’m excited about its possibilities. No More Mr. Nice Guy is also a film that has yet to be released. Greenleaf is the primary focus right now. Other than the community works that we’re doing and the work that we’re hoping the rest of our team and I continue to do…continue to build this brand and to do some productive and profound things with the other movements, initiatives and organizations that we’re connected to. Aaron: Last time we spoke, you were involved with several community initiatives. Are there any community efforts or initiatives that you are partaking in at the time? Lamman: Yes. All the ones that existed then, I still probably have my hands in those. (Laugh) As well as, now I’m also more involved with a couple others. I’ve been doing a lot of work with the Black AIDS Institute, as well as other agencies around the country all focused on the eradication of the AIDS epidemic, and testing and education initiatives. I’m ambassador for the national campaign for The Association of Black Cardiologists. We do a Spirit of the Heart tour. There is a national campaign to reduce the impact of heart disease and other related diseases. I’ve been doing that for three years now. I’m still very active with the organization that I founded called The Black Gents. We’re still very involved with literacy, arts education, technology and other community mobilization. But, we primarily focus on entertainment, education and empowerment through the arts. We do a lot of work with young people and other community partners. There’s another called the BMe Community, which is a national collection of men who are in positions of service or who own and run their own non profits and foundations or do other community based work connected to uplifting communities. Overall, those are some of the primary entities that I’m probably the most involved with. Lamman: I definitely would love to give a shout out if I may to Mama Peggy Cooper Cafritz, who is the co-founder of my high school’s development of the School of the Arts, who very sadly just recently passed. A lot of what you all know of me is very much a result of that woman’s vision along with her partner Mike Malone who was also one of my dedicated teachers and creative God Father throughout my high school years. Together, they co-founded the Duke Ellington School of the Arts in Washington, D.C. where I was trained and raised. So much of what I do now was really cultivated and nurtured there. I’m fortunate that it didn’t have to be created there. I owe that to my parents and to other wonderful teachers, members of my family, the community and so forth – to be exposed to the arts, literature and access to so much culture and understanding what it really means to be here. I’ve had access to that information at a very young age. If not for that place, I can’t even imagine how much different I would be and how much different my life would be. So, I want to just give a special acknowledgment to her [Peggy Cooper Cafritz] and to her life and legacy and the sacrifices that she made literally up until her dying day for the survival and commitment to that institution and for all of the young people in it. She has a really beautiful book out that was published called “Fired Up! Ready to Go!”. It’s available now. I highly recommend and encourage people to support the book and all the other schools, institutions and organizations that help to keep the arts and creative spirit alive.